A fallen angel haunted by her past. Yearning for her immortal beloved. Forever searching for answers. Who will show her Mercy? Mercy is definitely different than the other ‘Angel’ books I’ve read so far. It wasn’t exactly what I expected at all. I really liked the main character, Mercy (hosted by Carmen). Mercy is the complete opposite of Carmen. She was quite a feisty little thing. She didn’t care what anyone thought of her, and was pretty much content on doing her own thing. I love how her character grows throughout the book. By the end, I was rooting for her as she took matters into her own hands. The secondary characters were well written as well. I liked Ryan, and I could feel his pain. He really cared for his missing sister, and never gave up on finding her, even when everyone else had. I liked that there was no insta-love between him and Mercy/Carmen. Most of the other characters, especially Carmen’s ‘friends’, were well written as well. They are the type that you love to hate. The storyline was creative, and left me wondering. The first half of the book was a bit slow for me, but the second half is full suspense. Once I really got into it, I had the book finished in no time. I so have to order this book !! Thanks for the review Christy =) !! I've seen this on NetGalley, but I wasn't really sure whether I'd like this or not. But after reading your review now, I'm interested. Lol, I quit reading it after the first two chapters. I just didn't get into it. Now the bookshop has offered me a German review copy *sighs* maybe I should give it a second chance? I have heard a lot about this book and am loving the fallen angel theme in YA right now! Excellent review - I am going to check this book out soon! great balanced review. I'm not a huge fan of angel books, so whilst I got this I didn't actually read it. Glad to hear it was good. I hope to read this one soon. 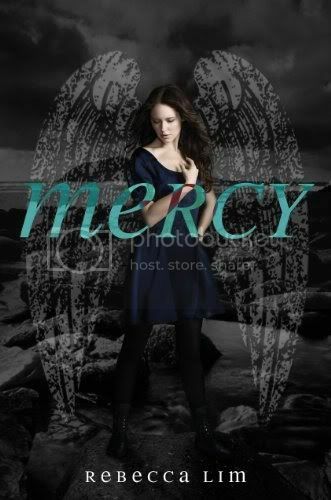 I LOVED this book because it was so different from other angel books and because I appreciated how Mercy grew. I have already preordered the next two since they're all coming out this year (I hate having to wait too long for trilogies). I just finished reading this book and am still trying to work through what I want to write about it. I really wasn't keen on it at the beginning, but it did get better for me by the end.